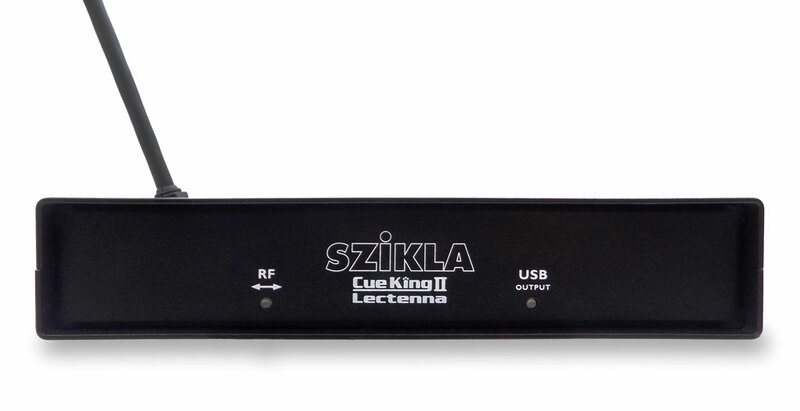 Szikla Cue King 2 Remote Presentation System delivers unsurpassed supervision of Forward/Back Computer Presentation Cues on multiple PCs or Macs, via Wired Lectern Buttons and 16 unique channels of RF interfacing. 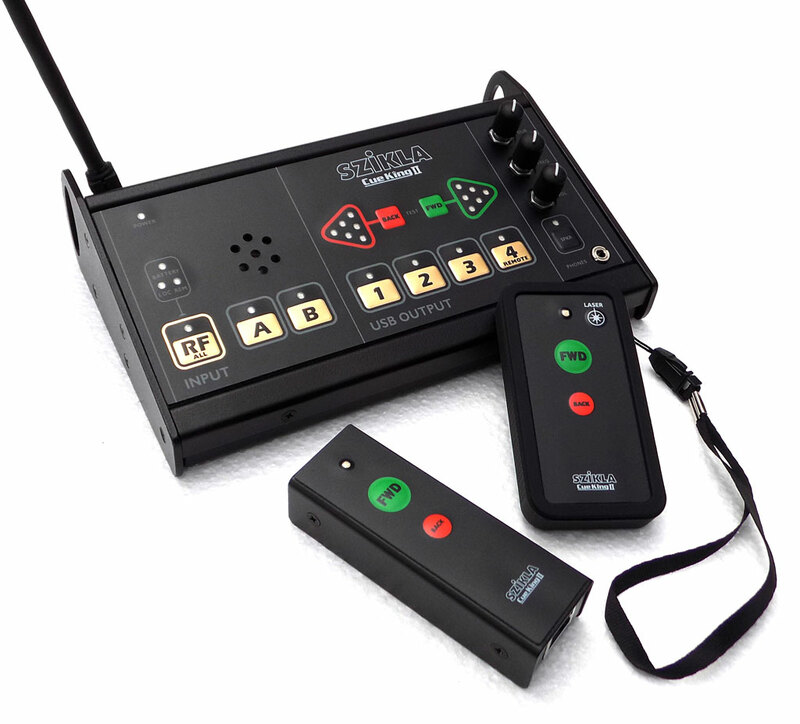 Cue King 2 exceeds the solid reputation of its predecessor in performance, portability and reliability. The long range RF handset is smaller, and more attractive. 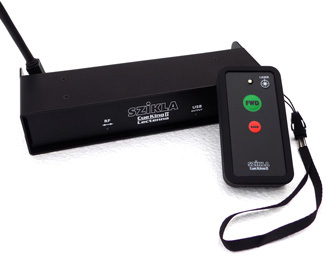 A remote receiver can also be positioned stage-side, increasing reliability. a. On its own, powered by the local computer’s USB. b. 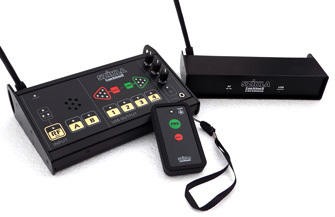 Connected to the Master Station – it works as a Remote Receiver, and its USB port becomes Remote Output 4. 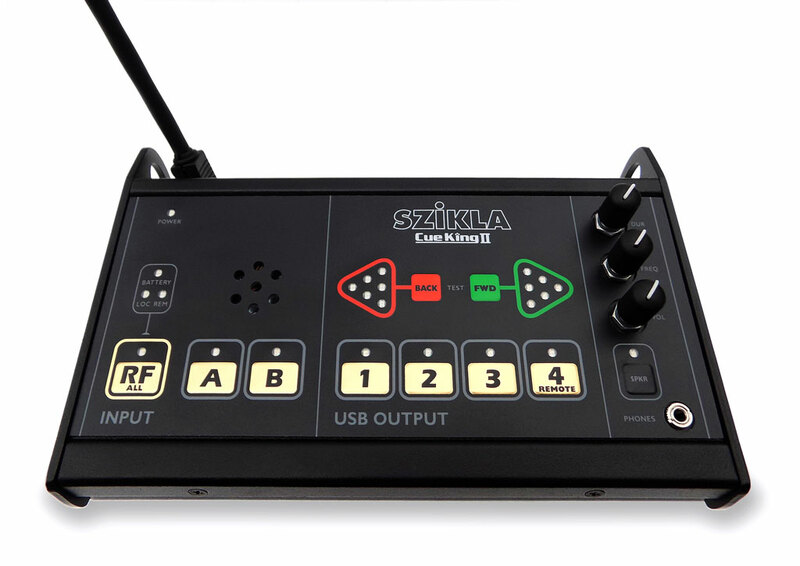 The Master Station has 2 Line Input Channels and 3 USB Outputs, as well as a switch for Output 4. 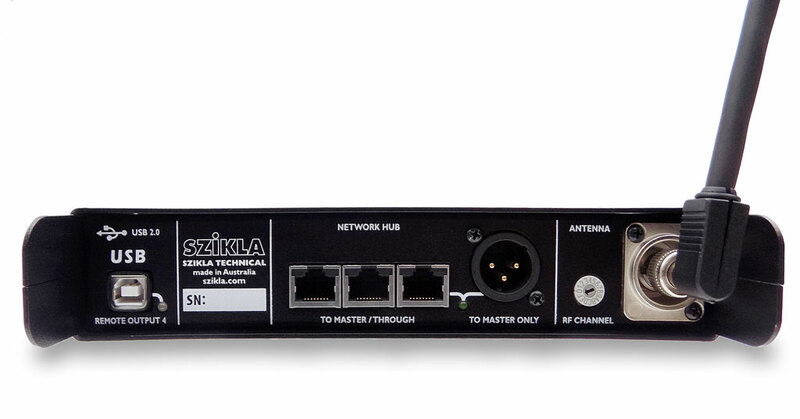 The RF ALL switch enables or mutes the local and all remote RF receivers. Line input switches A and B admit incoming cues only, and do not affect Output 4. If a short-circuit or over-current state appears on line A or B, its LED will flash as a fault warning. The indicator section provides visual and audio confirmation of cues. It includes Forward/Back Test Buttons and adjustable local speaker and headphone output. Near the RF button, LEDs show if cues are being received via the local or remote antenna, and if the RF Handset battery is low. 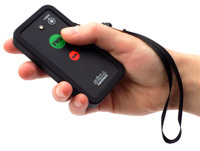 The RF Handset is the best one yet, and has been designed to please CEO and Technician alike. 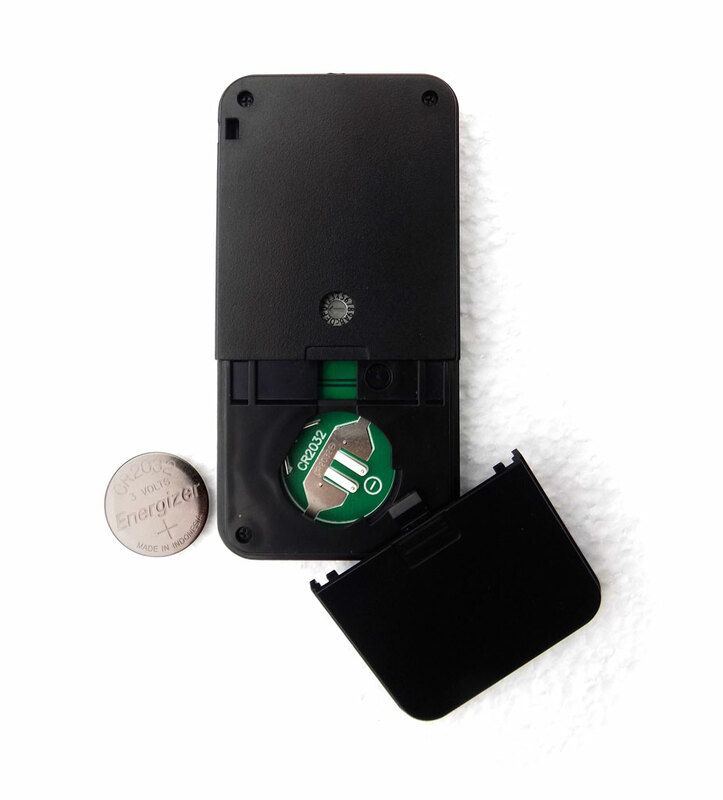 A single button cell in a quick access compartment delivers our benchmark reliable no-dropout range of 50 metres line of sight in clean air. Its Confidence LED glows green or red for Forward/Back Cues, and also flashes when the battery gets low – typically exceeding 3,000 slides, and 600 high brightness laser-pointer clicks of 10 seconds each. Every handset comes with an attractive rubber grip and wrist/neck strap. The handsome wired Lectern Button can be positioned on the surface or rim of any Lectern, or supplied disassembled for flush mounting as a permanent install. Line connections to Lectenna or Lectern Buttons are via Cat5/6 and/or standard Mic Cable, up to 300 metres. The Master Station can supply power for up to 2 Lectennas plus 9 Lectern Buttons per input. 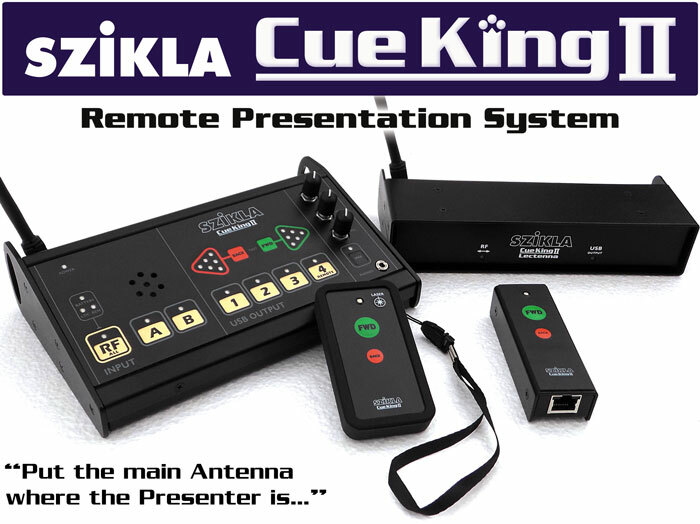 Cue King 1 devices cannot be used with Cue King 2. The basic breakout-room solution for 1 computer only. 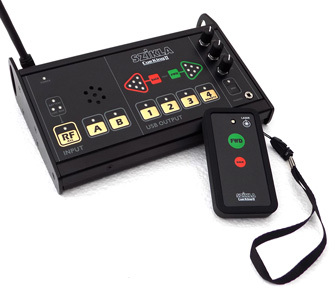 Includes 16 channel RF Handset with powerful Laser Pointer, and Lectenna receiver which connects to IBM or Mac via USB. No power supply required - just plug in USB cable, wait 20 seconds, and start clicking. Comes with USB cable, spare battery, neck and wrist straps, and FREE TOTE SATCHEL ! A more serious solution. Includes RF Handset and Master Station - which acts as a slide-cue router controlling up to 3 local computers. 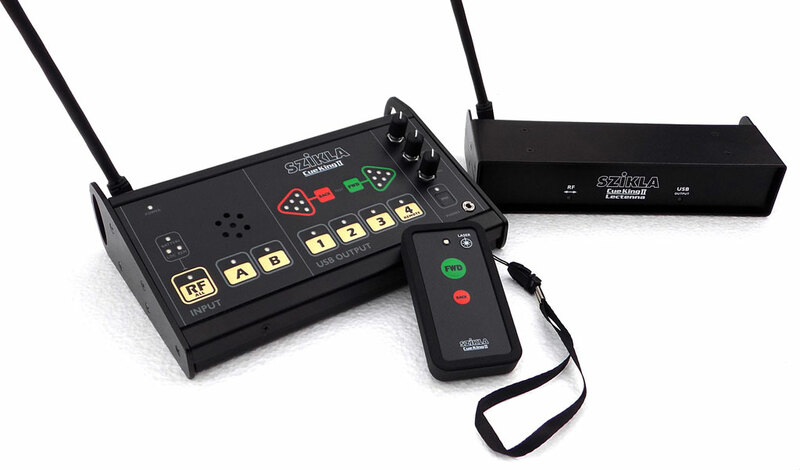 Features Fwd/Back Cue Lights with Test Buttons and Audio from Speaker or Headphones. 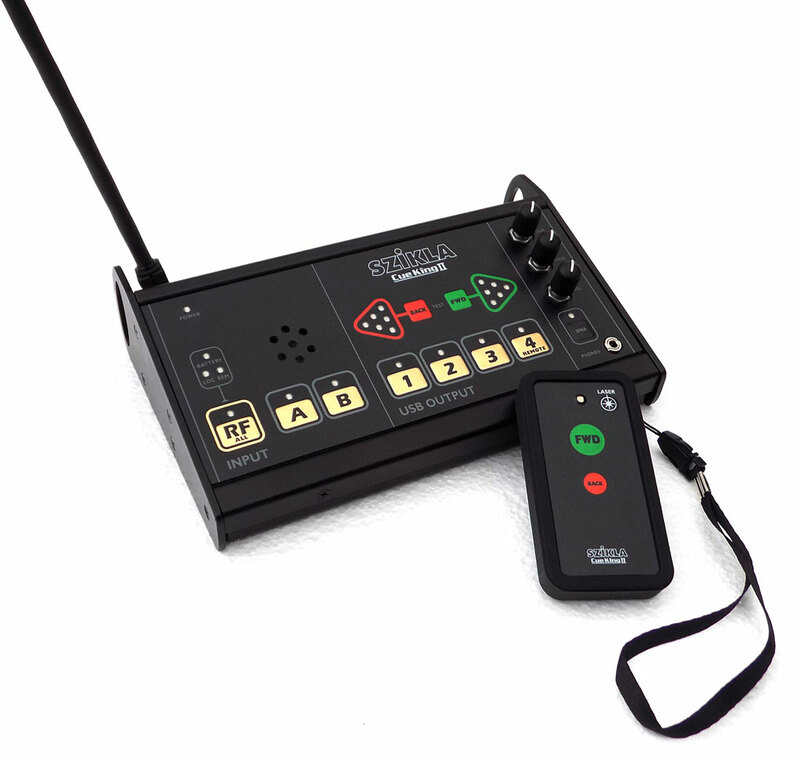 Built-in 16 channel Receiver has LEDs for Handset activity and Low Battery warning. Network inputs A and B connect to peripherals with either Cat5/6 or Mic cable. 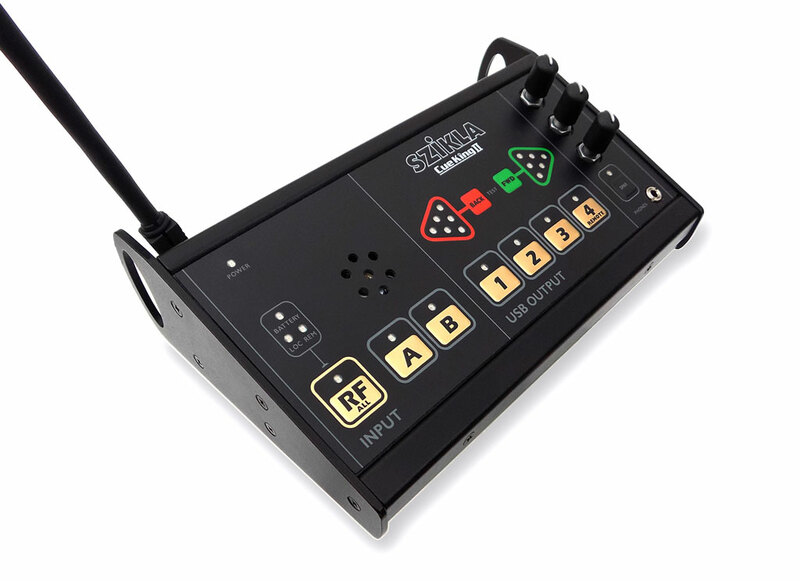 You can add one or more wired Lectern Buttons (18 maximum), which is not possible with the Solo Pack, and when your shows get bigger, add a Lectenna down at the stage to give you rock-solid RF and an extra USB output ! 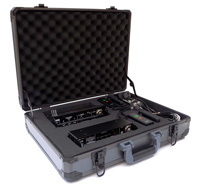 Comes with Plugpack PSU, spare battery, neck and wrist straps, and 3x USB cables. 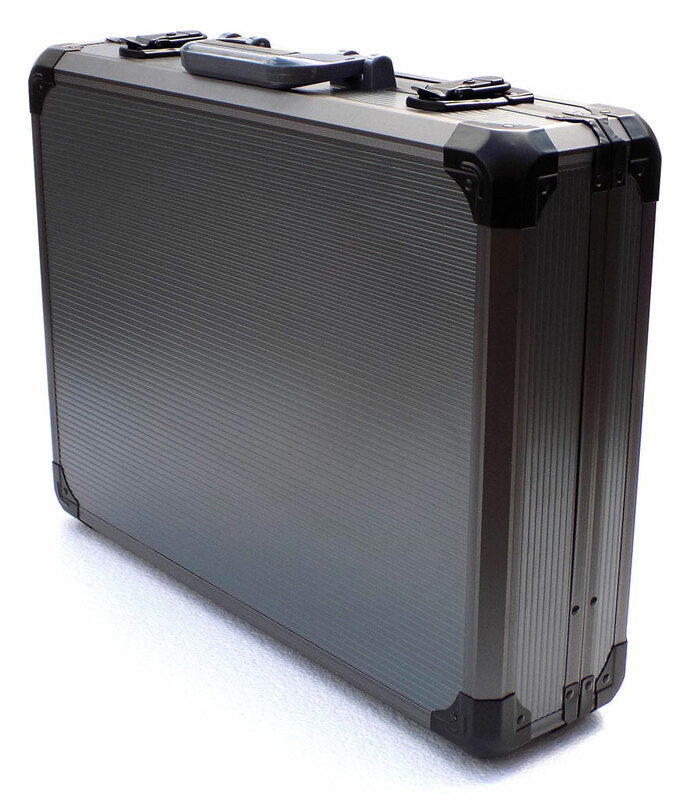 Extras: Cue King 2 Aluminium Case, and wired Lectern Button (not included) are available as extras - see below. The one with the lot. Includes RF Handset, Master Station, and Lectenna. Enjoy rock-solid RF diversity performance, by having one antenna at mission-control, and another stage-side near the presenter. 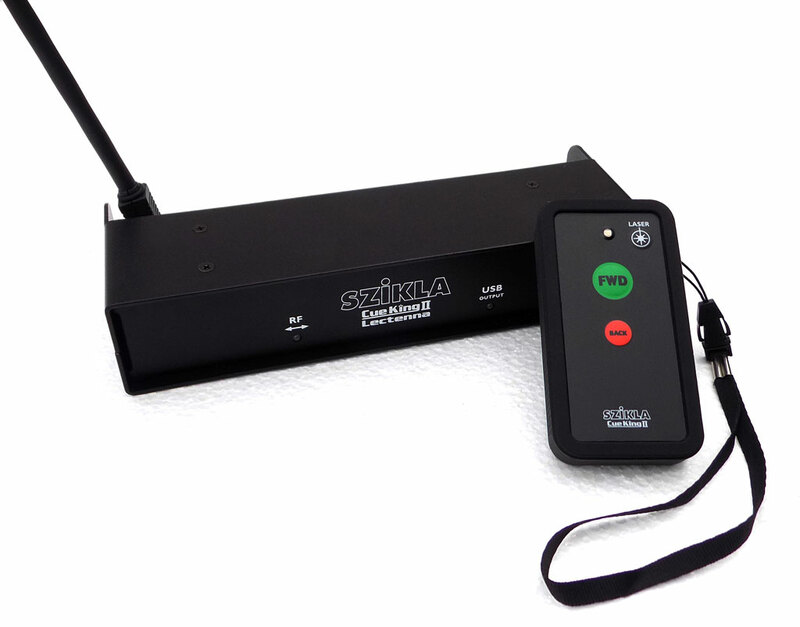 Connected via Cat5/6 or Mic cable to the Master Station, the Lectenna's USB output becomes Remote Output 4. 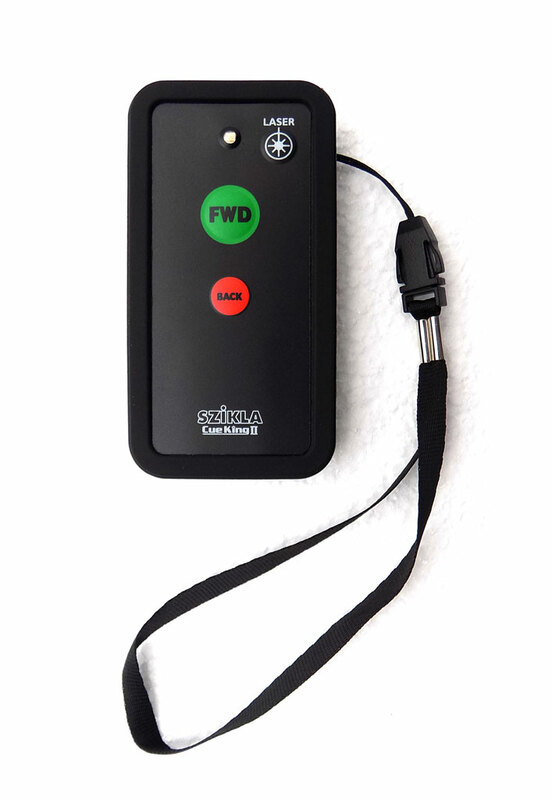 You can use the Lectenna in/out as a system hub, and daisy-chain to wired Lectern Buttons (up to 9 of them per input) and even another Lectenna. 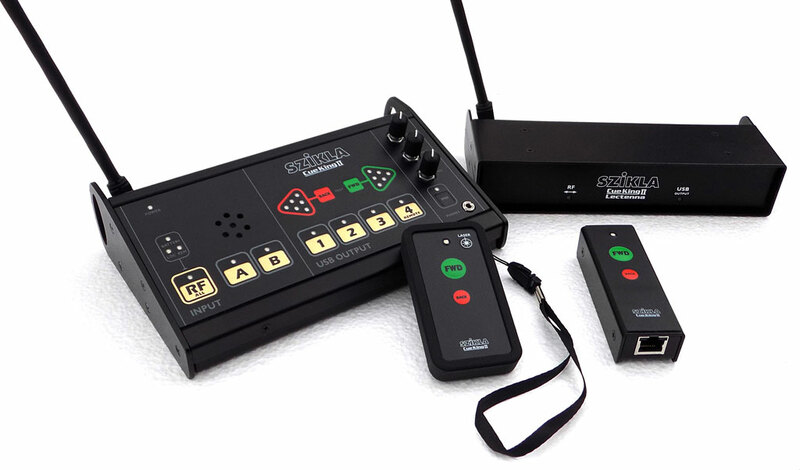 Add an extra RF Handset, and you have total flexibility to use the entire system as a big show solution with backup Handset, or split it into 2 handy breakout solutions for the smaller shows. Comes with Plugpack PSU, spare battery, neck and wrist straps, 4x USB cables, and Cat5/6 patch lead. LECTERN BUTTON $120 inc. Add a wired button to your lectern, as a convenience to your customers, or as a back-up device for the RF. 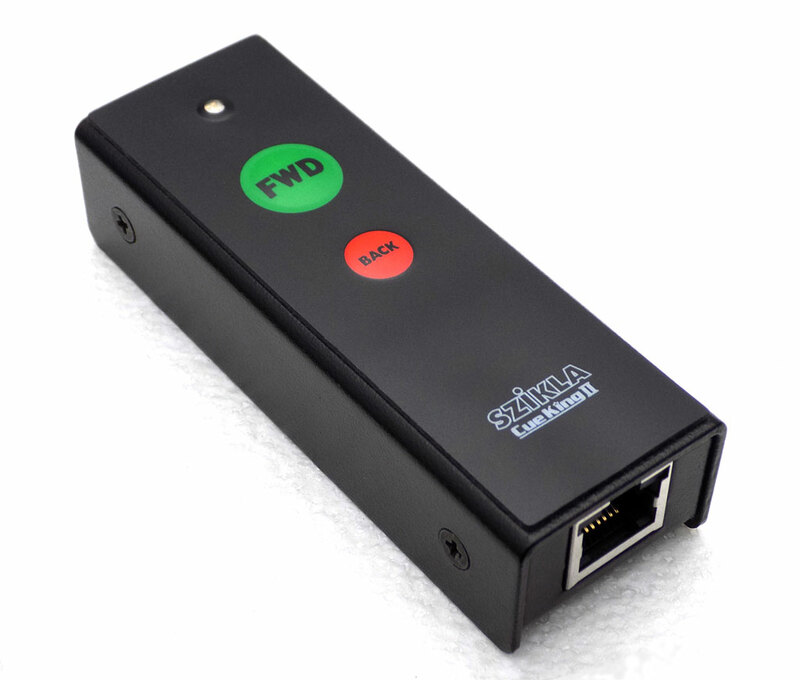 Has a Cat5/6 connector at each end, so you can use it either way around - even as a mobile hand-held device on a long lead. 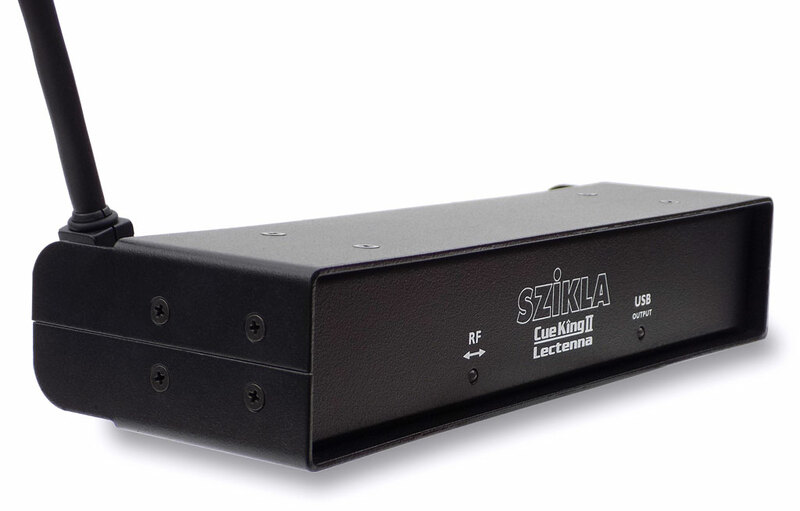 Can be Y-split with an RJ45 splitter, or via the Network Hub on the back of the Lectenna. A Master Station is required if you desire this option, and up to 9 Lectern Buttons may be used per input. EXTRA RF HANDSET $285 inc. Use as a spare, or if you want the flexibility to divide the Auditorium Pack into 2 separate breakout systems. 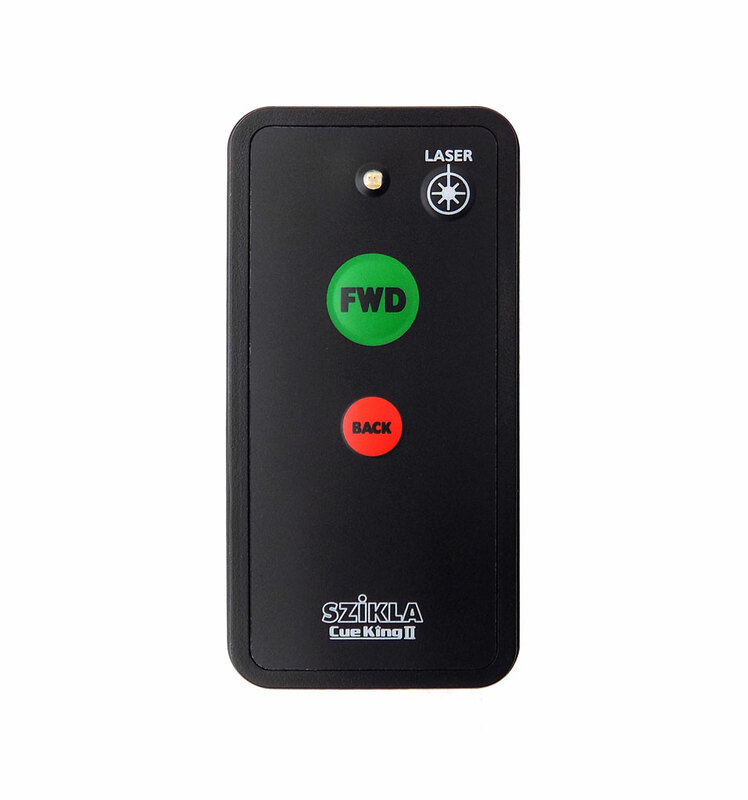 Externally accessible 16 channel selector switch and quick access battery compartment are on back, and a powerful Red Laser Pointer is built in. Comes with attractive rubber handgrip, neck and wrist straps, and CR2032 battery. 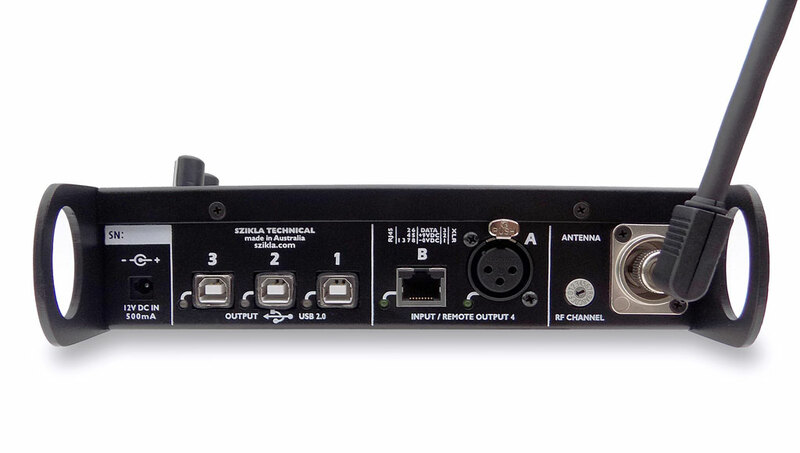 LECTENNA $545 inc. Add a second Lectenna to your Auditorium Pack, to give you an extra remote output for multi-screen presentations, or to ensure rock-solid RF coverage of an over-large or multi-stage area. A Master Station can power up to 2 Lectennas per input. Comes with USB cable, and Cat5/6 patch lead. MASTER STATION $1,190 inc. Do you own a Solo Pack and now crave more outputs, more RF flexibility, or the light and sound of a cue indicator? No problem - just add a Master Station to promote yourself from user to commander. Comes with Plugpack PSU, 3x USB cables, and Cat5/6 patch lead. SOLO PACK TOTE SATCHEL $20 inc. Soft vinyl zip satchel with side pocket, 230x140x75mm, for carrying around your Solo Pack and a cable or two. 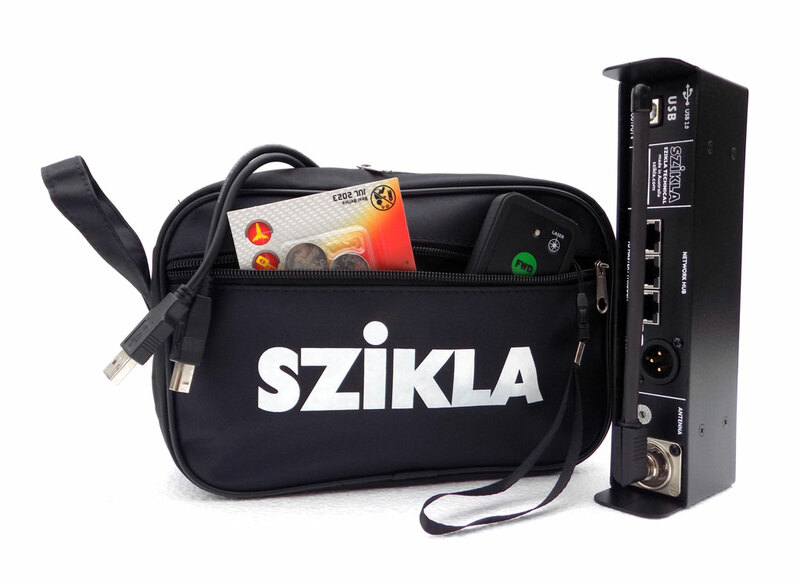 The Solo Pack already includes one of these, but if you lose it, or need another one for extra cables, or just prefer bags with SZIKLA printed on them, then this is your fix. 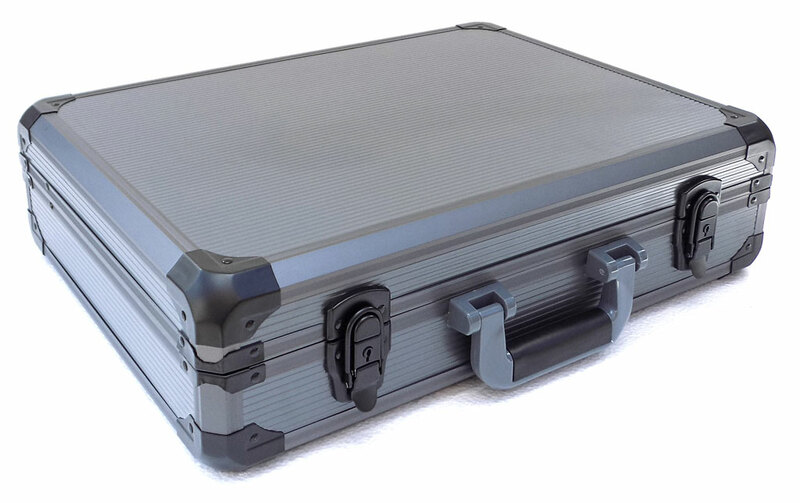 CUE KING 2 CASE $110 inc. Deluxe light aluminium briefcase fitted with foam inserts to house a Master or Auditorium Pack, plus leads and extras. Overall dimensions: 495x365x128mm. and we will do the rest ! 4 USB Cables, 1 Cat 6 Short Patch Lead, 1 Cat 6 Joiner. Overall dimensions: 495x365x128mm. Weight: 5.5kg.